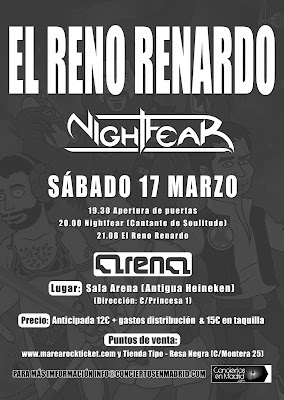 NightFear will be opening for El Reno Renardo on March 17 in the Arena Club (Madrid). 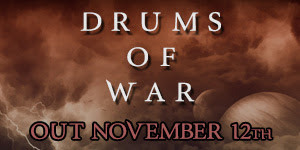 The ticket price is 12 € + booking fee and 15 € at the box office. 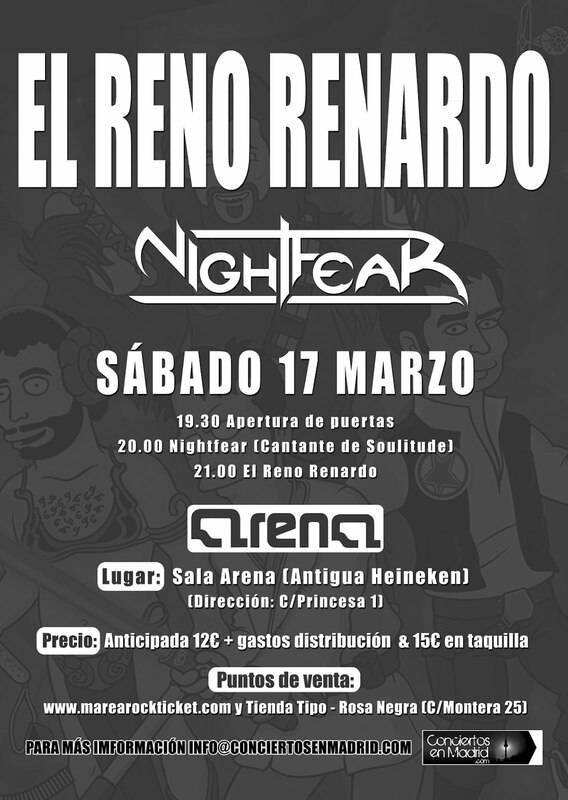 Points of Sales: www.marearockticket.com and Tienda Tipo - Rosa Negra (c \ Montera 25). 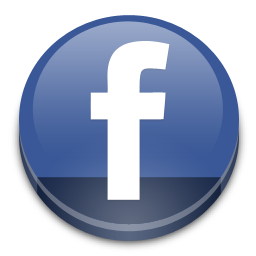 25/02/2012 - Passion Club (Pinto), with Hado and Identidad Limitada.